- Track Insulation Plan (Bonding Plan), Cable Plan. - Weekly Notices and Drivers Diagrams. Our company has been acknowledged in providing Signal Integrity Simulation Service to the clients. 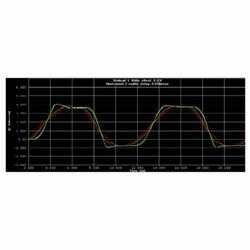 Signal Integrity Simulation Service is accomplished in stipulated time frame. This service is a boon to the companies who are facing system-level signal Integrity issues that result in project delays. Reckoned as leader in this domain, we are into presenting a range of Signal Processing Design Service to our customers. These Signal Processing Design Services are rendered keeping the budget our customers in mind. Moreover, these services are highly appreciated by our customers for their timely execution. 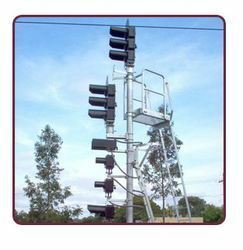 Sanderson Associates offer a full range of services with respect to the provision of Traffic Signal Design Services. Through its cutting-edge information solutions, Alstom brings operators the means to ensure the transport of passengers in total safety and fluidity, optimising the capacity of urban lines. Alstom equips cities all over the world with its CBTC Urbalis signalling system, representing 25% of CBTC solutions deployed worldwide. Nuclear signaling and the nuclear material are immensely significant as they regulate and control the cellular processes. Impediments in the nuclear signaling and/or DNA damage could grievously affect the cellular processes and hence the whole system. isolated and coordinated traffic signal systems design, intersection design, signing and pavement marking plans. TSTS has strong tie ups with various OEMs for various signalling products and is expanding its portfolio of products to ensure that the solution provided to the client is of top notch quality. We can be a key differentiating factor in your scheme of things as a system integrator with excellent quality solutions which are cost efficient. High speed differential operational amplifiers, high speed comparators, BIAS and bandgap circuits, CML buffers, Load current sensor circuits, Crystal Oscillators, Level Shifters, Phase Interpolators, Charge pumps, Voltage-to-current converters, Automatic Gain Control (AGC) circuits, programmable variable gain amplifiers and DVD Read/Write channel front-end circuits.